Portland is many things. It is beautiful in summer and it is rainy when not. It is one of America’s – if not the world’s – microbrew capitals. It has made an art form of political correctness in all its glory and much of that which is not glorious. It is Portlandia and it shows why Portlandia was a little ridiculous (but I did go looking for Colin). 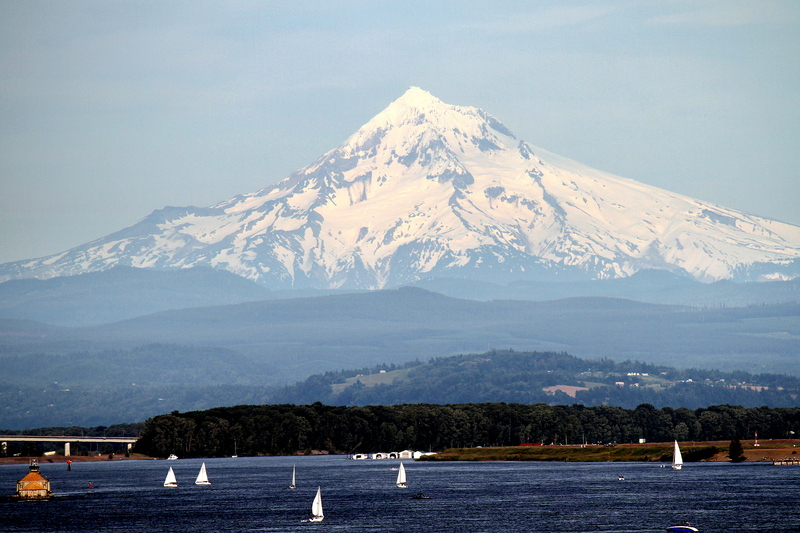 Portland is also likely this: the best small food city in the country. Over the course of one long weekend I saw – and tasted – this for myself. 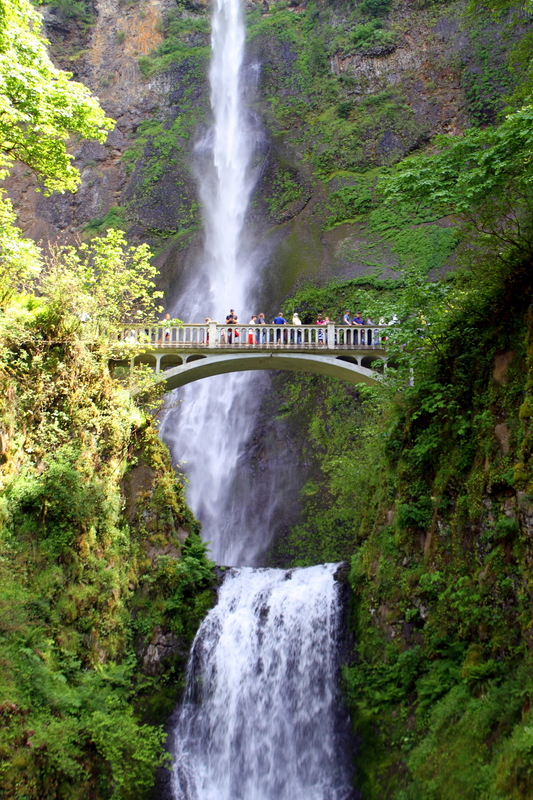 This was not my first trip to Portland (and it won’t be my last) but the focus was squarely on the food, with a little bit of brew, wine and beauty to boot. One place I knew well before the trip was the superb Pok Pok, Andy Ricker’s delicious tribute to the incredible range of Thailand’s cuisine. I hadn’t previously tried one of his most famous dishes: the wings. They are, not to put too fine (or harsh) a point on it, what Buffalo Chicken Wings might aspire to be if they grew the hell up and decided to be tasty. I’d missed them before. 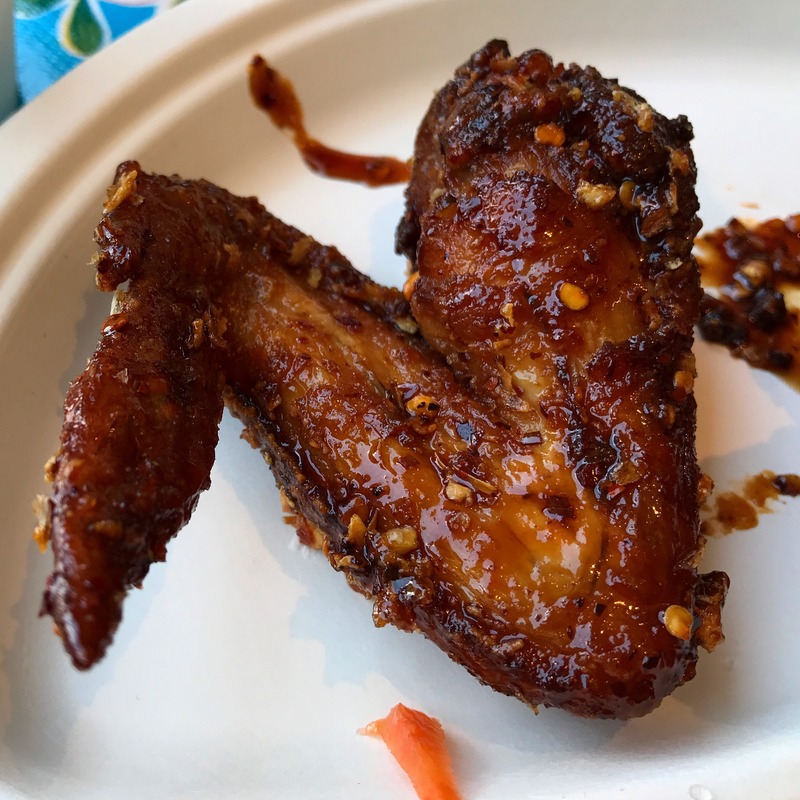 I won’t make that same mistake again, especially not now that Ricker’s opened a shack featuring pretty much those wings and nothing else called Pok Pok Wing (3120 SE Milwaukie Avenue). Asian food features strongly in Portland’s culinary world. One relatively new entrant in that derby is Danwei Canting (803 SE Stark Street), a Chinese restaurant owned by two Americans (neither of Chinese heritage) who have lived in China where they fell in love with the cuisine. One of them, James Kyle, had hoped to open a pizza joint in Beijing but instead ended up opening this Chinese place in Portland. 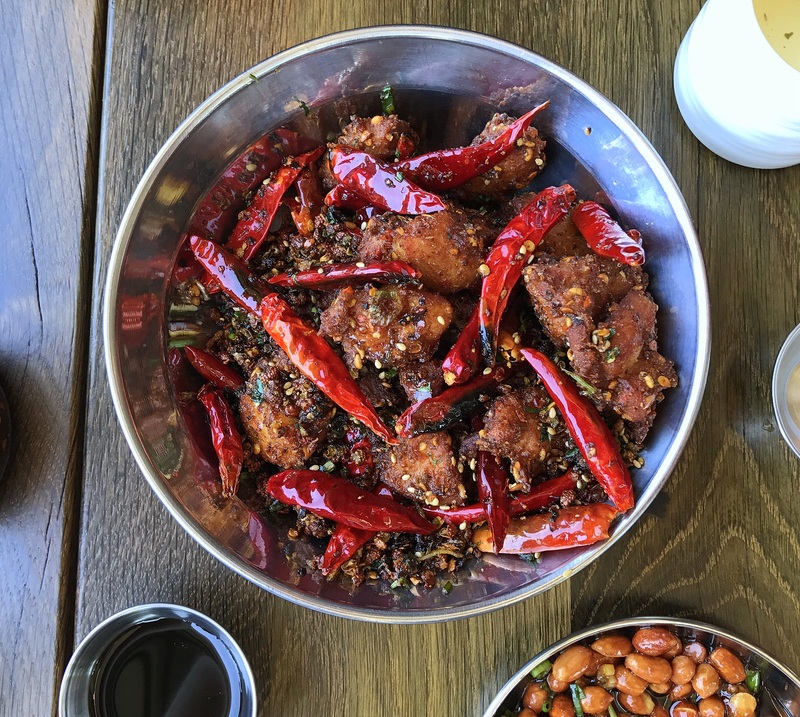 There’s no shortage of incredibly tasty dishes on Danwei Canting’s menu, but none better than the la zi ji, a take on a classic Sichuan chicken dish traditionally made with the whole bird but done here in a more American-friendly fried chicken thigh chunks and the powerful mala (numbing-spicy) flavors of Sichuan peppercorns and dried red chilies. At Han Oak (511 NE 24th Avenue), Sunday and Monday are noodles and dumpling night (they serve a pre-fixe the rest of the week). 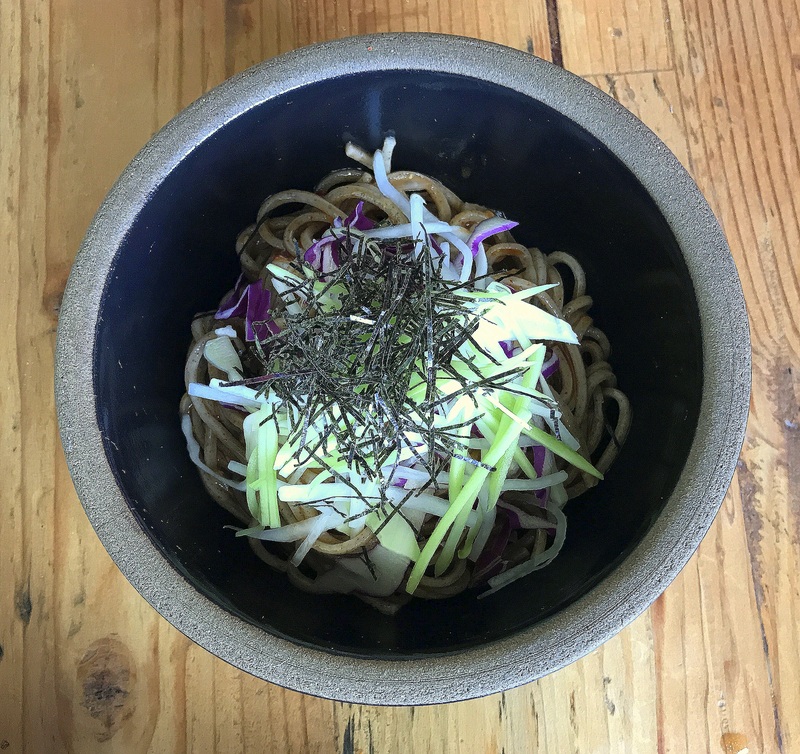 Don’t miss the chilled buckwheat soba noodles with gochujang and kimchi dressing, shaved cabbage, daikon, cucumber, scallions and nori. It’s a 2017 Food & Wine Best New Chef Peter Cho’s Korean take on what might otherwise be a Japanese classic. The Japanese influence on Portland is tangible. 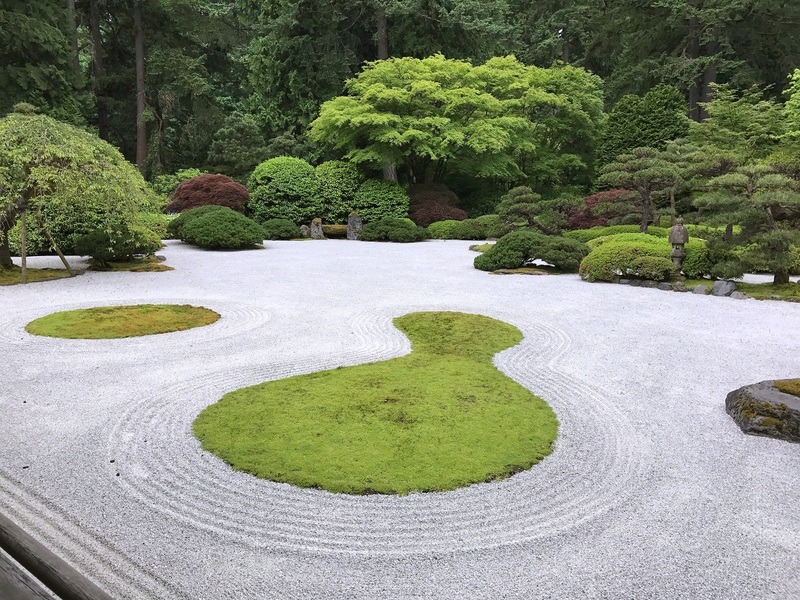 It can, perhaps, best be felt at Portland Japanese Garden (611 SW Kingston Avenue), a gorgeous and surprisingly vast spread of Japanese design and culture on a hill above town. I’m not certain I ever knew there were so many shades of green. 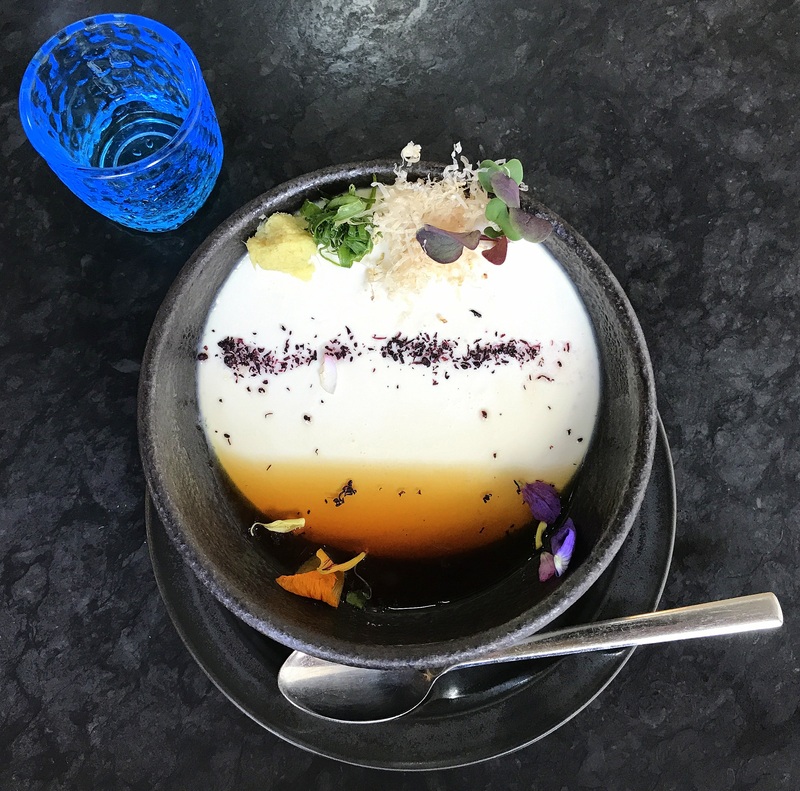 If the Japanese Garden is the place to feel that influence perhaps Afuri (923 SE 7th), in Southeast Portland is the place to taste it. Afuri presents itself as a ramen spot and the ramen is very good (as is the sushi and the sake). But there’s likely no better dish at Afuri than the handmade tofu with ginger, scallions, bonito flakes, micro sushi and a soy dashi. There may be no more beautiful presentation of any dish in town. The Stateside reputation of Russian food centers around one word: heavy. And, like many Northern cuisines – European, Asian or American – that’s not without reason. Kachka (720 SE Grand Ave) shows another side of Russian food: elegant, inventive and even light. Try Kachka’s Baltic sprats butterbrodi. Sprats are just the sort of flavorful fish that so many Americans eschew in favor of relatively bland options like basses or, God help us, tilapia. 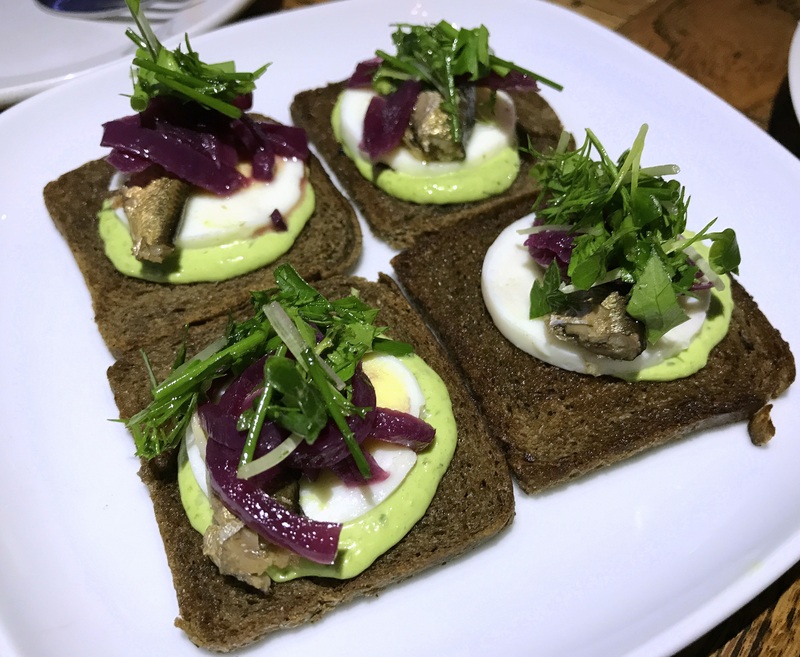 Kachka presents them on pumpernickel with a parsley mayonnaise, eggs, pickled vegetables and herbs. The idea of an oyster bar in the Pacific Northwest makes sense. A chef working with the flavors of her youth makes sense too. Chef Maylin Chavez’s Olympia Oyster Bar (4214 N Mississippi Avenue) combines the oyster bar with touches of her Mexican heritage to create a special take on the bounty of the Northwest. 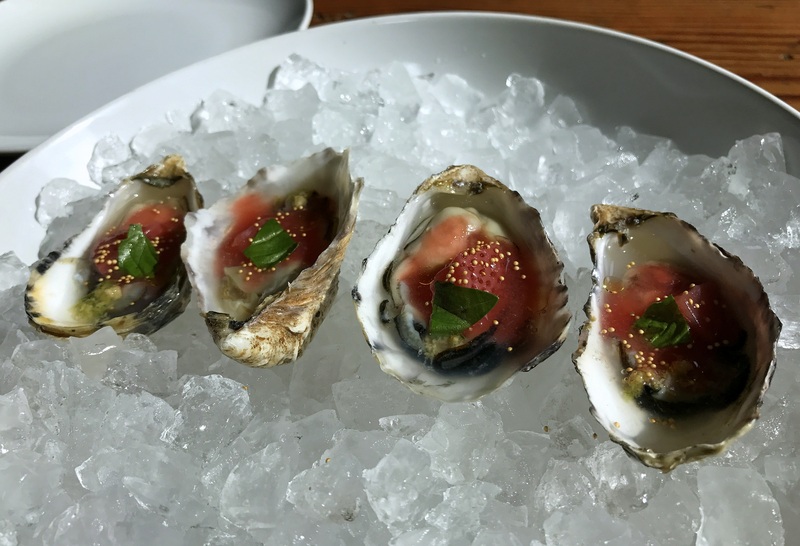 Her aguachile oysters show that to great effect, but my favorite were the Chelsea Gem oysters in pickled strawberry rhubarb mignonette. The biggest culinary surprise in Portland was, without a doubt, Ox Restaurant (2225 NE Martin Luther King Jr. Boulevard), which bills itself as “Argentine inspired Portland Food.” The food of the power-couple behind Ox, 2017 James Beard Award Best Chef Northwest winners Greg Denton and Gabrielle Quiñónez Denton, focuses on big flavors presented rustically in all their glory rather than tweezed into little plated sculptures. 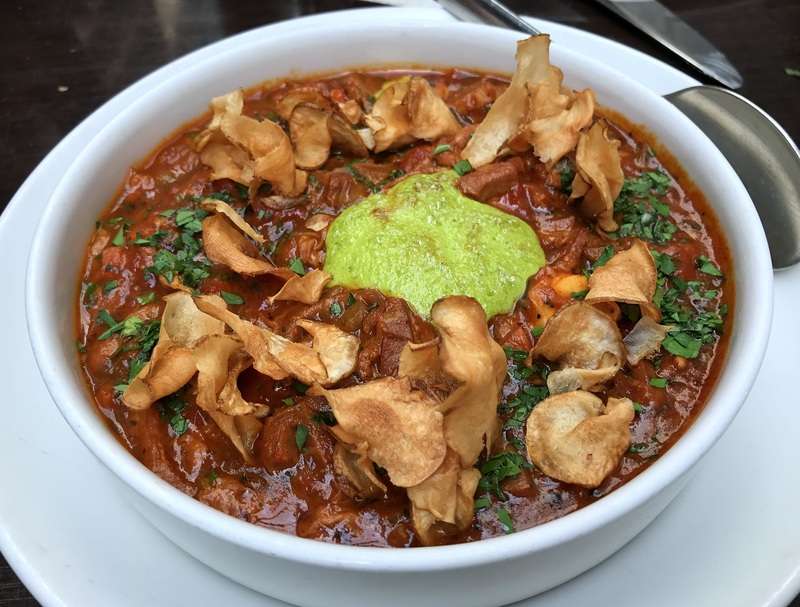 Take, for example, the spicy braised beef tripe and octopus with a mint aïoli and crispy sunchoke chips. It’s a take on the classic trippa alla Romana, riffing off of Argentina’s Italian heritage and adding octopus (a textural echo of the braised tripe) into the mix. Frankly, though, I could just as easily have focused on Ox’s incredible wild halibut collar with a nettle-green garlic salsa verde. Or perhaps the dish of the meal was the fried oxtail terrine with frozen English pea salad, verjus and preserved meyer lemon aïoli. There are no shortage of other Portland dining destinations I would have loved to hit. We made a tactical error going to Jackrabbit (830 SW 6th Avenue), Chris Cossentino’s Portland outpost, for brunch (not because it was bad, it wasn’t, but because brunch can only be so good and the dinner menu looked far more exciting). We missed Beast (5425 NE 30th Avenue), Ava Gene’s (3377 SE Division Street), and so many more. But perhaps what I missed most was a crawl around Portland’s thriving food truck/cart scene. It’s the gastronomic Minor Leagues that provides the intellectual ferment and fuel for what’s become a Major League culinary destination. But that’s another story and one that will be written after the next trip to Portland if the next story isn’t about Microbrews.